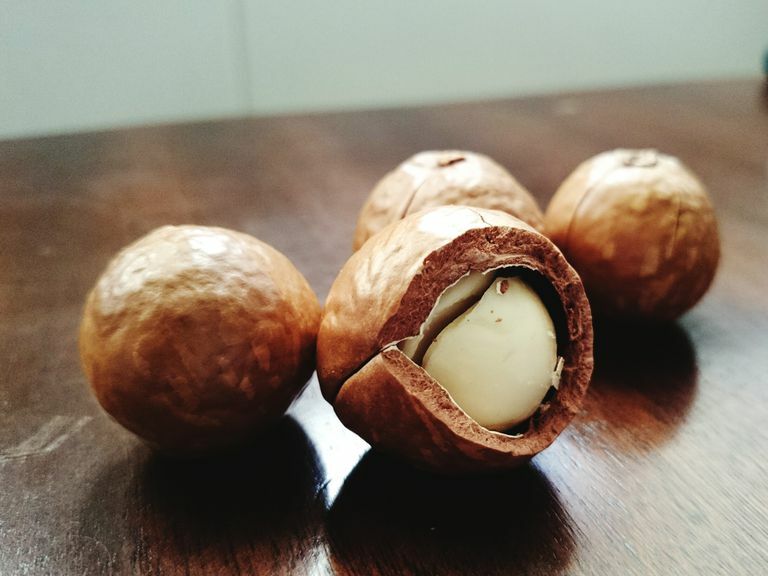 Macadamia nuts are high in fat, but they also provide a boost of monounsaturated fat, considered a "good" fat. Monounsaturated fat or MUFAs come from plant sources and may be helpful in lowering your LDL or "bad" cholesterol. For this reason, the Academy of Nutrition and Dietetics recommends that you choose foods with monounsaturated fats instead of saturated fat. Macadamia nuts also provide fiber. Eating foods with fiber can help you to feel fuller and more satisfied. Weight loss experts generally recommend that dieters consume foods with fiber to help them eat less and create the calorie deficit needed for weight loss. Macadamia nuts are also a good source of thiamin and a very good source of manganese. Here are answers to a few common questions about eating nuts as part of a healthy diet. What's the best way to avoid overeating nuts? Even though nuts provide health benefits, they are one of the most common foods that we overeat. A single serving of macadamia nuts is just 10-12 kernels. But we usually don't count nuts before we eat them. To avoid overdoing it, use your hand to control portions. A small handful of nuts is a single serving. Are flavored nuts or nut mixes just as healthy as regular nuts? Macadamia nuts are found in some, but not all nut mixes. When you buy nut blends or nut mixes, the nuts may be roasted in oil or seasoned with high sodium products. The result is that you may consume far more fat or sodium than you expect. Can nuts be part of a weight loss diet? Nuts can make a smart snack if you are trying to lose weight. The protein and fiber in nuts may help you to feel full and satisfied so you don't eat again soon after your meal. The best way to store nuts is to keep them in an airtight container at room temperature. If you keep them in the refrigerator they should stay fresh for up to six months and if you freeze them you can use them for about one year.